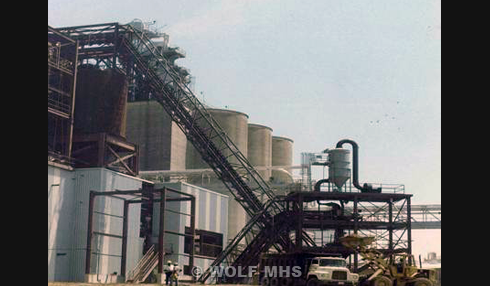 Wolf MHS has designed and manufactured vertical sidewall conveyors for various applications as part of their “complete system” approach. These conveyors have been used for coal, wood waste, MSW, limestone, as well as many other materials. Vertical sidewall conveyors have the distinct advantage of transfering bulk materials at very steep angles. This allows them to be used on sites where space is at a premium.